With our avant-garde style of villas, our architect is appealing to those of you who want to build a modern or futuristic home on the Costa Blanca. Artistic and fashionable planning, subtle intuition and a touch of extravagance. Straight lines to a vast extent, every room offering the impression of light and brightness - these are the attributes of our avantgarde villas. Luxurious, stylish and clean – these are the three elements which relate to this way of construction. Each finished detail is to a high quality, but with nothing obtrusive. No unnecessary decoration – just simple with no frills. A combination of form and function to the highest level, a perfect collaboration. Whether you’re in the dining room, the living area, master bedroom or kitchen – all rooms are sun-kissed and planned with “esprit”. The rooms do not only give the impression of being light and spacious, but also offer the aspect of fresh air and freedom of movement to those in it. A type of house designed with transparent structure. All rooms built on ground level, are integrated into the surroundings and therefore most of the rooms have direct access to the garden. This is what makes it possible to enjoy living under the southern sun all throughout the year. Living becomes a global work of art, alternating being living indoors and outdoors. Tiled, open terraces leading from the villa to the swimming pool invites you to take a refreshing dip or bath in the sun. A covered terrace of archways leads to the garden area, laid with lawn. In this avant-garde line, beauty is always combined with function. Pleasant details such as a small bay-window, gives a touch of relaxation to the villa. A living room is not only an area to be lived in, but to host a multitude of functions giving way for all your fantasies. The avant-garde villa offers space enough for your own creative ideas of living and relaxing. Turn a lifestyle of Spanishflair into reality. Enjoy the amiable habits such as the afternoon “Siesta”, a daily tradition which northern Europeans link specifically to normal life on the Costa Blanca. The avant-garde villas are of no relation to our standard models featured previously in this brochure because, like the rustic line, we can not standardise it. Together with you, we can plan your own unique design and give a detailed estimate for its construction. Straight lines and a plethora of light in each room - these are the main features of this unique avant-garde villa. Our design team has designed this project with sloping plots in mind, such as what we offer in Benimeit, Moraira 250m2. The huge windows fill the entire building with light and air. Fresh and stylish, amazingly well designed, this project can be adapted to other types of plots. The property comprises of 3 bedrooms, 2 bathrooms, living room and open kitchen with the ability to adapt to your specific needs. 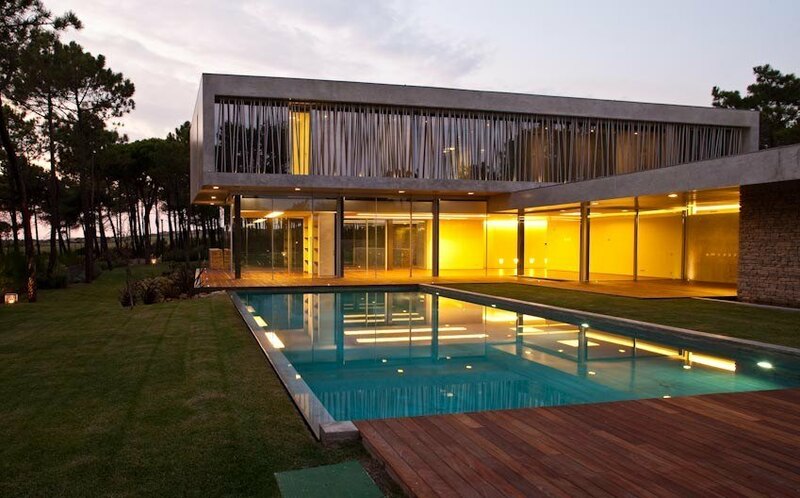 With this villa, our architect calls on those who want to build a modern house on the Costa Blanca. Artistic and trendy, with a touch of extravagance. The Villa shown is a front design of a luxurious modern house with a futuristic touch, ideal for light-sloping plots, specially designed to be built on a large plot such as in Tosalet 5, Javea. With a total area of 473 m2, this fantastic villa has 4 bedrooms, 3 bathrooms, a spacious living / dining room, a beautiful open kitchen and a large half-cellar with garage. The exact dimensions can be tailored to your specific requirements. Luxurious, stylish and tight - every detail is finished with the highest quality but without unnecessary decoration. A marriage of form and function, perfect cooperation. Bathrooms, a spacious living / dining room, excellent modern kitchen and spacious terraces on both floors. A smaller version is possible. Whether in the dining room, living room, bedroom or kitchen - all rooms are sunlit and full of spirit. The lasting impression is that of light and space. Designed with a transparent structure. With 350 m2, this is the perfect design of modern elegance and can be adapted to any type of terrain.